Sadly yesterday evening around 17.00 one of our committee members was alerted to our jetty being on fire. The blaze was attacked with buckets of water and finally extinguished with the club’s long hose pipe. A red dinghy was found to be the cause resting on the lower landing stage. The fire brigade attended with 3 appliances and pulled the remains of the boat off and placed it alongside the slip. Separately, the Gransden family reported intruders, possible illegal immigrants on their sailing smack, Thistle, off Shoregate Wharf. It was also reported that a red dinghy/rib was alongside Thistle. The Coast Guard attended, but with no enforcement powers and the tide out were unable to do anything. Kent Police decided it didn’t require an attendance. 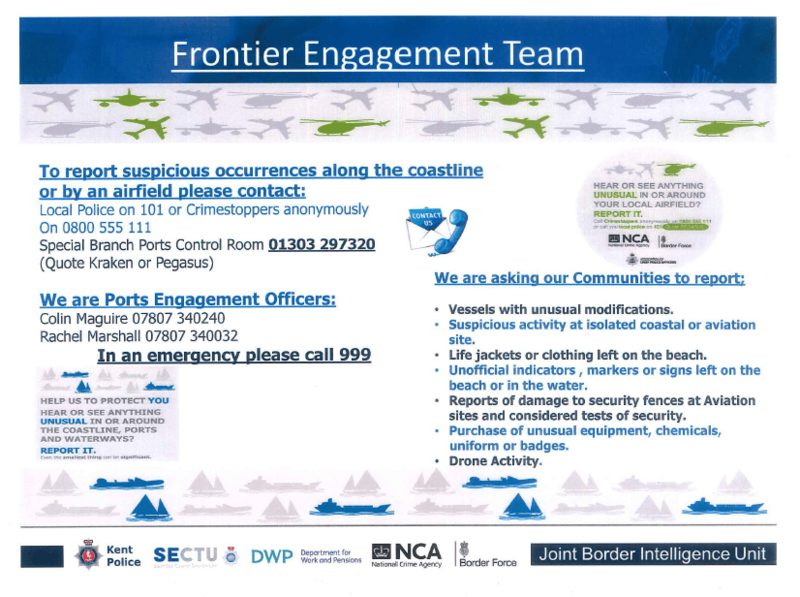 Had Kent Police shown an interest in the possible illegal immigrants and intercepted them as the tide came in, that issue could have been resolved and MTRC’s stolen launch could have been recovered. Instead, due to Kent Police’s ineffectual response, the launch was driven to our jetty and set alight, completely destroying the launch and causing serious damage to our jetty. Did you see this boat yesterday? One of the Medway Town Rowing Club’s coaching launches was stolen from Rochester yesterday morning at about 5am (high water). The boat is a Fun-Zac Secu 12 and the engine is a Tohatsu Model MFS 98 A3, engine serial number 027905. As you can see in the photo, it is a very distinctive colour! 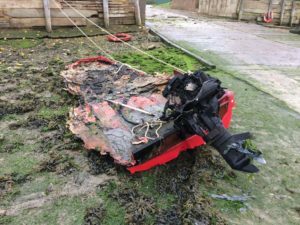 The theft may have been connected with incidents at Lower Halstow later in the day resulting in a red boat being set on fire causing damage to the Lower Halstow Yacht Club jetty. A group of suspicious people were seen during much of the day on moored boats belonging to members of Shoregate Wharf Sailing Club but the suspects had gone by the time police arrived in the evening. Several items had been stolen from a smack and foil blankets had been abandoned. The abandoned Westerly Centaur, Lady Mine, which was left on Sun Pier for months, and subsequently broke her mast on the Veetee jetty, was left on an RNSA mooring. Today she sank, probably because the broken rigging snagged on the ground chain. What a sad end to yet another once-cherished boat, and an expensive problem for someone else to sort out! Harbour Manager Emma Crompton tells us what happened. 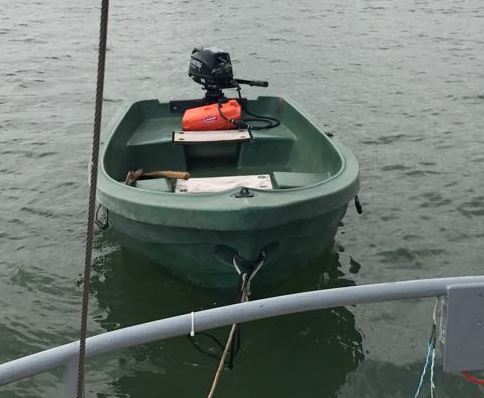 On the afternoon of 25 June, an alert mooring holder at Queenborough Harbour spotted three chaps in an inflatable dinghy removing an outboard from another boat. The harbour team quickly came over in the trot boat while the police were called. 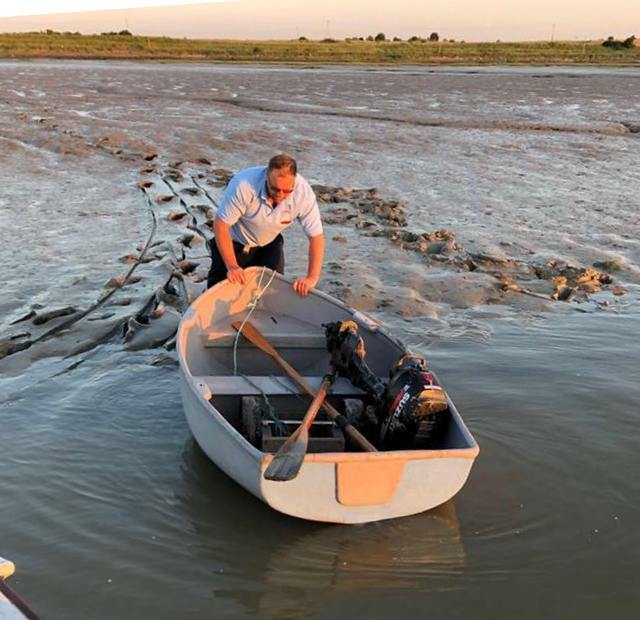 One of the thieves disembarked with the outboard in the mud by the coal washer, only to drop it in his struggle to get ashore. The other two went back to the slipway but when they saw the police they headed back to the coal washer area where they abandoned the dinghy. Their two vehicles contained marine equipment stolen from Devon the night before, though the three suspects, who were subequently arrested, were from Kent, though not local. The inflatable dinghy had been stolen from the tender park in March! 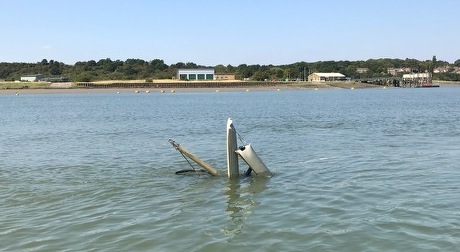 Emma and some helpers managed to recover the outboard from the mud before the tide claimed it – see photo. This just shows how brazen the thieves are and how important it is to be alert to suspicious activity. “Our dinghy and outboard was stolen during the night while we were on board our boat. Please be aware there are thieves operating on the Medway. The dinghy is a 12 foot dark green plastic Pioner tender, which we would love back if anyone sees it. The outboard is a Tohatsu 6hp, we don’t expect we will see it again. Stolen from moorings opposite Segas and Gillingham Strand, on Hoo side. This is similar to a theft a year ago from the HNYC moorings, when the dinghy was found abandoned without the motor. It seems many of these thefts are not reported to the police, so please email us at info@msba.org.uk with any information.